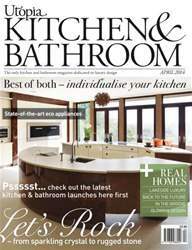 Coming to a showroom near you soon on page 48 previews a selection of the newest kitchen and bathroom products launching in the UK this month. Looking at a growing area of kitchens Best of both explores two-tone kitchens, turn to page 56 and be inspired to create a kitchen as individual and unique as you are. On page 84 Designer collection brings you an exclusive interview with Interior-iD, the company behind Furniture Island, a unique ‘piece’ ideal for open-plan living. 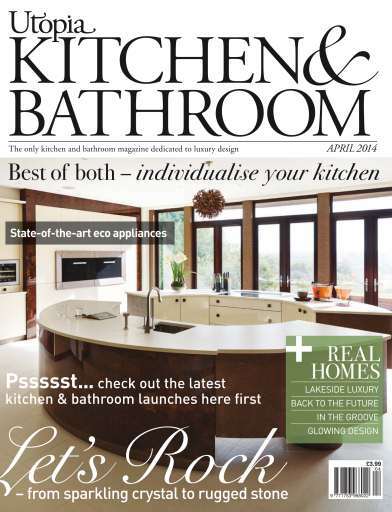 Looking at function, Nifty and thrifty starting on page 66 looks at the latest eco appliances. On the bathroom front Splashes (are) out looks at shower enclosures, panels and screens – turn to page 74 for advice and inspiration.